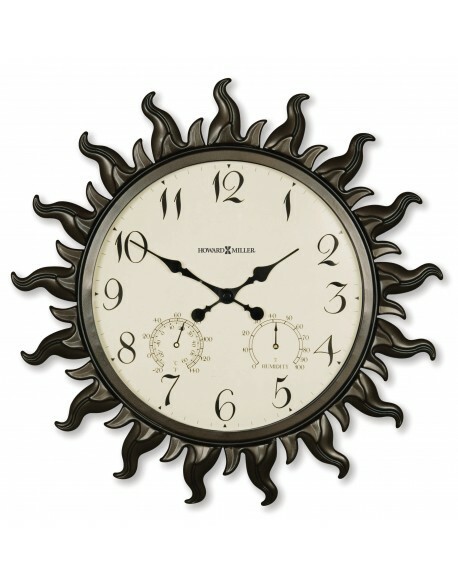 This 22-1/2" wall clock is designed for indoor and outdoor use. Sunburst frame is made of metal with a powdered-coated case, tempered glass, and rubber seals that protect the inside of the clock from inclement weather. Off-white dial features black Arabic numerals and black hour and minute hands.